 The Hydro Circuit - 10” Water Pipe Recycler -The Greatest Online Smoke Shop! 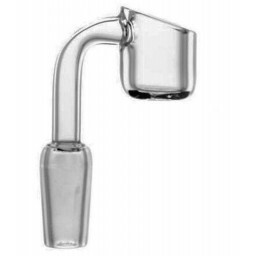 Recycler with a Circuit Percolator and a Funnel Style Cyclone combination. 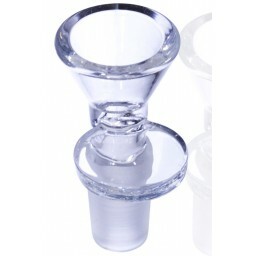 Immaculate design that incorporates a hollow drum in the middle with 2 separate water pipes running through the center. 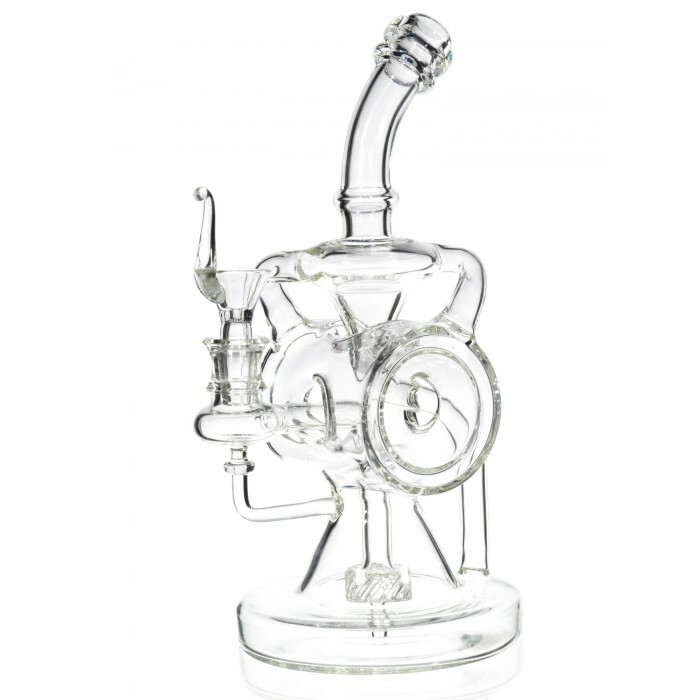 Blown with clean, clear glass so you can easily see all the different tubes, twists, and turns that make this machine turn. 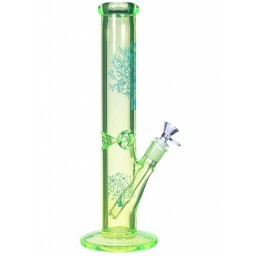 This recycler has a 14mm female joint and comes with a matching 14mm male dry herb bowl. 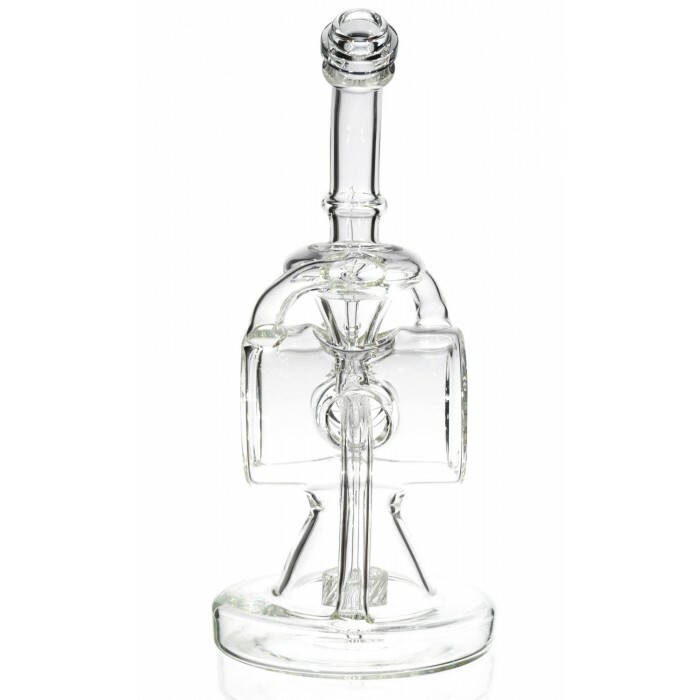 The Hydro Circuit is a trippy piece of advanced technology that combines all sorts of filtering and cooling methods all into one interconnected glass water pipe. This immaculate design is carefully thought out and beautifully structured, combining aesthetics and function seamlessly. First, you get a 4.5” Recycler Base, where two tubes come from separate angles and quickly cycle the water and smoke together to break down particles and cool down the heat. 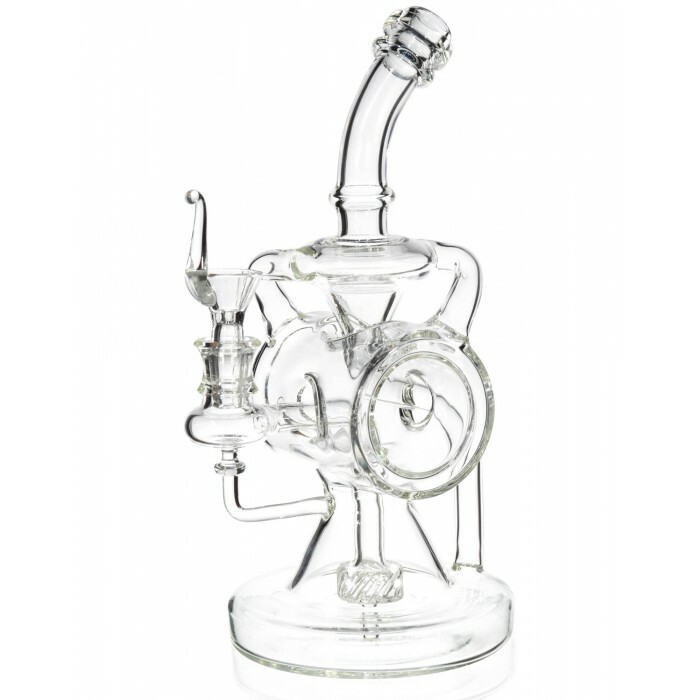 The base also features a Circuit Percolator that combines with the Recycler to feed water and smoke through smaller slits and further break down the hot smoke molecules. 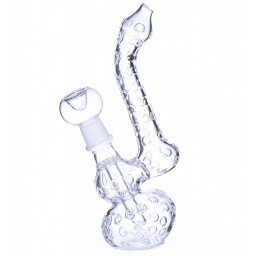 It’s a smooth combination that uses speed, water, and air to give you a much smoother hit. The designers added a beautiful hollow drum in the middle of this piece. 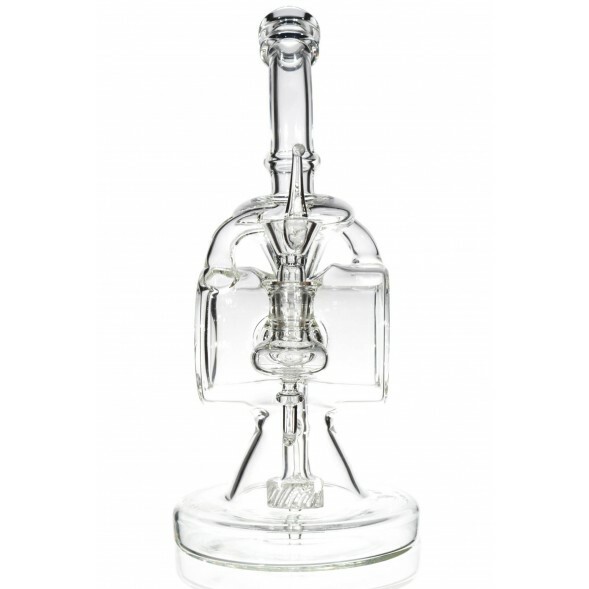 It adds style and character, with two tubes running through the center and connecting the base to the neck of this glass piece. 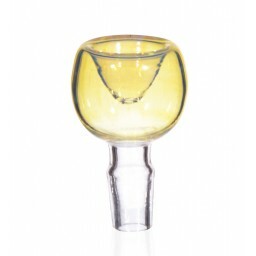 The neck is a Funnel Style Cyclone, a savvy last touch on this well-thought out pipe. 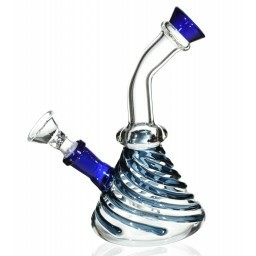 The Funnel Style Cyclone creates a tornado-like pattern as the smoke and some water make their way giving the smoke one last cooling treatment before it works its way into your lungs. 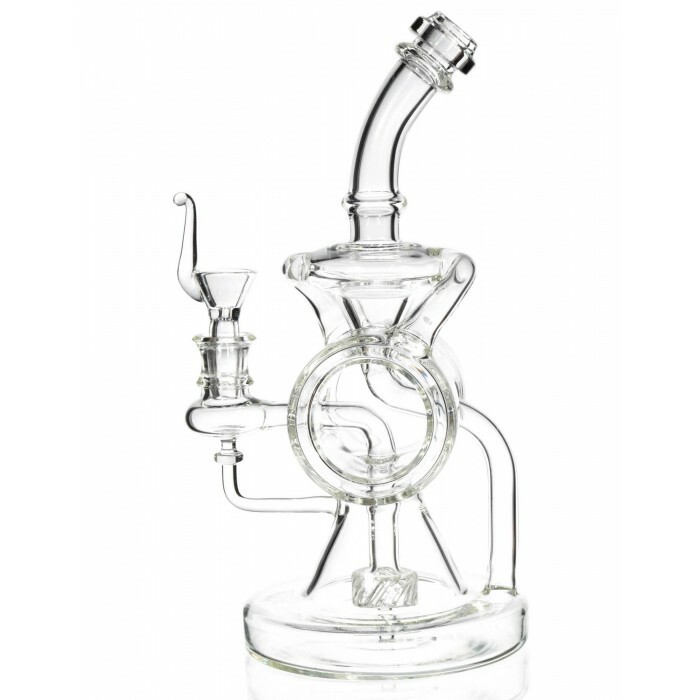 This recycler is a combination of three hydro-technologies that will give you a smooth, cool, and enjoyable session. 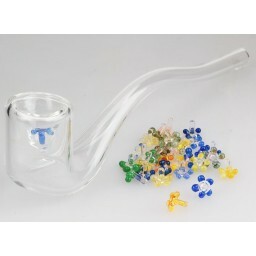 This 10” water pipe comes with a 14mm female joint, a matching 14mm dry herb bowl, and has a water chamber that is 2.5” wide.